No code needed. Click the button to redeem your discount at easylifegroup.com. 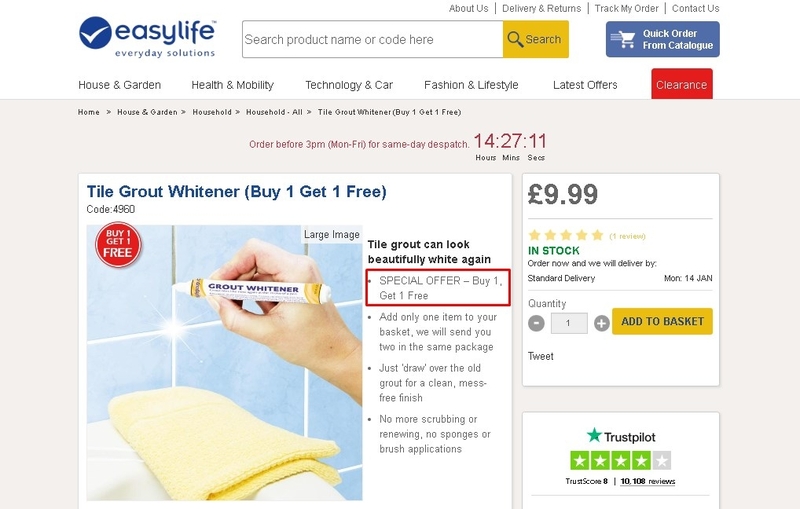 Luis Tested this deal and verified that it is working as described: Buy 1 Tile Grout Whitener, Get 1 Free. No promo code needed.